WASHINGTON – To find out how the Pentagon is driving new manufacturing techniques, you need to look to a network of public-private partnerships located around the country. Manufacturing USA is a series of centers of excellence spread around the country, with each center focused on a different technological area of study. 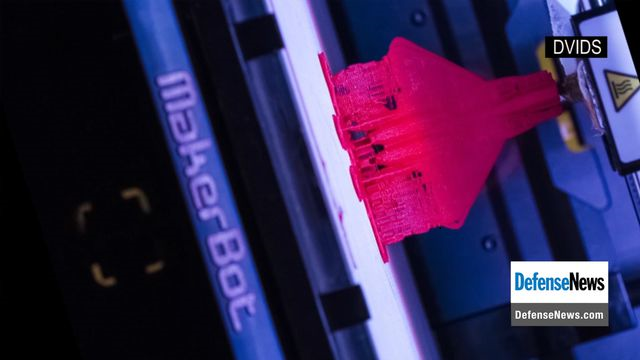 The Pentagon has a role in eight different institutes that focus on technologies such as lightweight metals, flexible electronics, advanced composites and additive manufacturing, commonly known as 3D printing. Companies join the institutes, benefit from sharing knowledge, and can become part of the supply chain, both directly to the Pentagon and as suppliers for larger defense companies.